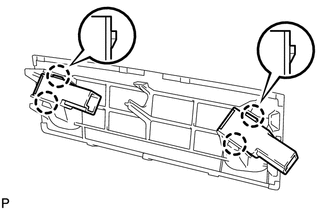 (a) Disengage the 4 claws and remove the 2 console box illumination light assemblies. 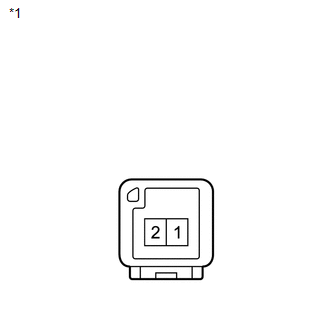 (a) Connect a positive (+) lead from the battery to terminal 2 and a negative (-) lead to terminal 1. (b) Check that the console box illumination light comes on. Console box illumination light comes on. 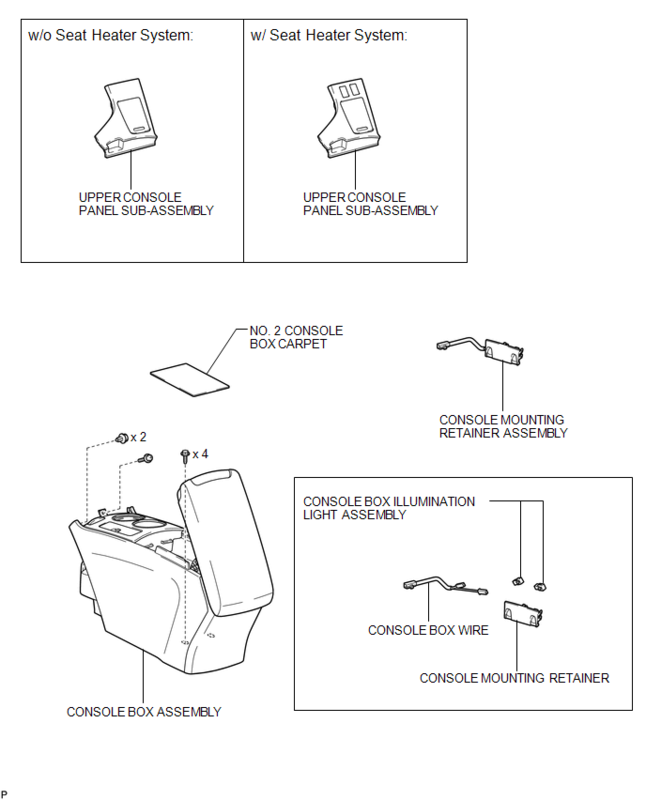 If the result is not as specified, replace the console box illumination light assembly. (a) Engage the 4 claws to install the 2 console box illumination light assemblies.